Alice Cooper holds a fond place in the hearts of many old-time heavy metal fans, but neither the band nor the man were exactly “metal” for their entire careers. Alice Cooper is a forefather of shock rock, known as much for his theatrical, over the top live shows as his music. Musically, he and his band showed an uncanny knack for combining catchy rock anthems with unsettling lyrics and bizarre, morbid songs. What it all added up to was an artist who held wide cross-appeal, with radio hits and horrific (for the times) visuals. Here’s our list of the top 6 of Alice Cooper’s more than two dozen studio recordings. One thing Alice Cooper did better than anyone was keeping up with the times. His sound has gone from psychedelic to AOR, to metal and back around again, always remaining contemporary. Trash was his take on the hair metal genre that closed out metal’s greatest decade. Trash followed his heaviest album, Raise Your Fist and Yell, which wasn’t his best-selling work. Trash brings back Cooper’s knack for writing accessible singles, with “Poison” and the Joan Jett-penned “House of Fire” garnering a fair amount of airplay. Heck, he even had Diane Warren co-write a song (“Bed of Nails”). 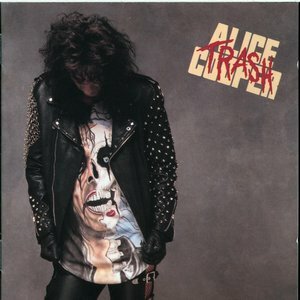 Trash is a blatant effort to capitalize on the hair metal success wave, but it fits right in, and was one of Alice’s best albums of the ’80s and ’90s. With only a smattering of success in the fifteen years prior to Welcome 2 My Nightmare, The Coop thought it would be a good idea to revisit past glory by writing a sequel to his ubiquitously popular mid-’70s album. He threw out all the stops here, re-teaming with producer Bob Ezrin, and even bringing in members from the original Alice Cooper Band for guest appearances. Much like the original, Welcome 2 My Nightmare contains a mix of radio-friendly hits and bizarre, morbid tales. References to the disturbed Steven are scattered throughout, as are “hits” such as “Caffeine” and the Kesha collaboration “What Baby Wants.” While 14 songs is a bit too much, this is Alice Cooper’s best work of the millennium. Honestly, you can’t go wrong with anything Alice released between 1971 and 1976. 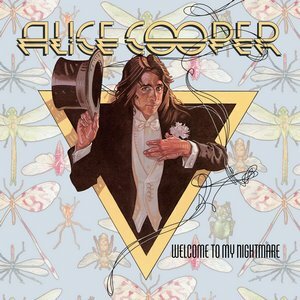 Welcome to My Nightmare is arguably his most well-known album, but not necessarily the best. However, this was his first true solo album, and along with longtime producer Bob Ezrin he managed to create a compelling record. The template established on earlier albums remains: radio-friendly singles and menacing, odd tales. On Welcome to My Nightmare, though, the arrangements and production are much more showtune-like, with more horns and less guitars. Hard-hitting songs like “Cold Ethyl” are offset by the corny ballad “Only Women Bleed,” while elsewhere Cooper introduces his alter-ego Steven. This is the album that laid the foundation for Alice’s success. 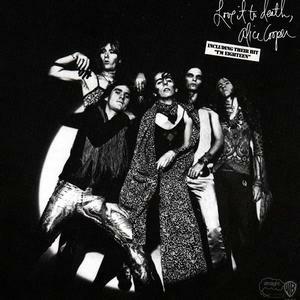 While prior albums Pretties for You and Easy Action were more psychedelic, here on Love it to Death the Alice Cooper Band brought it all together in wonderfully bizarre fashion, due in no small part to the introduction of producer Bob Ezrin. Casual listeners will know Love it to Death primarily for the solid singles “I’m Eighteen” and “Is it My Body,” but where the band really shines is on the much stranger closing tracks of each side of the album. “Black Juju” is the highlight here, a nine-minute epic that to this day remains one of the band’s creepiest songs. Like all of the band’s ’70s albums, the sound seems dated today but the songs are still amazingly effective. 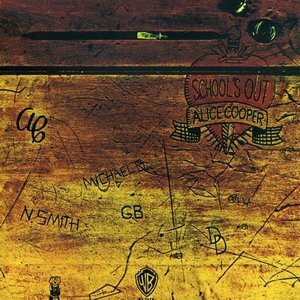 My personal favorite, School’s Out followed the two 1971 albums Love it to Death and Killer, and while those two records each had more than one song considered a hit single, School’s Out had only the raucous title track in that regard. The rest of the album was more like a loose interpretation of West Side Story. Musically, this is the band’s most challenging album, with plenty of progressively tinged arrangements and jazzy bass and brass work. We may link to “School’s Out” here, but “Blue Turk” is the most interesting and compelling track on the album, and as with all the cuts here, shows just how accomplished these musicians really were. This is likely no surprise to any of Alice’s diehard fans. 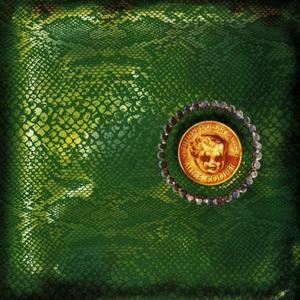 Billion Dollar Babies was the Alice Cooper Band’s penultimate release, and showcases them at their best in every facet. Sure, the format follows suit with the past few releases, but here the songwriting and lyrics are in top form, making this album a true classic. With no fewer than five memorable rockers, Billion Dollar Babies is one of Alice Cooper’s most accessible albums, but they keep the morbidity alive and well with songs like “Sick Things” and “I Love the Dead.” For those thrown off by such necromantic leanings, hits like “No More Mr. Nice Guy,” the title track, and the superb, underrated “Generation Landslide” will prove more than satisfying.